This Common Snipe was the most well-studied and photographed of several discovered on the eastern Avalon Peninsula during February and March 2011. Not only was it the first record for Newfoundland (there was a previous specimen from Labrador), but it was just the second ABA record away from the Pacific coast and one of only a few outside of Alaska. 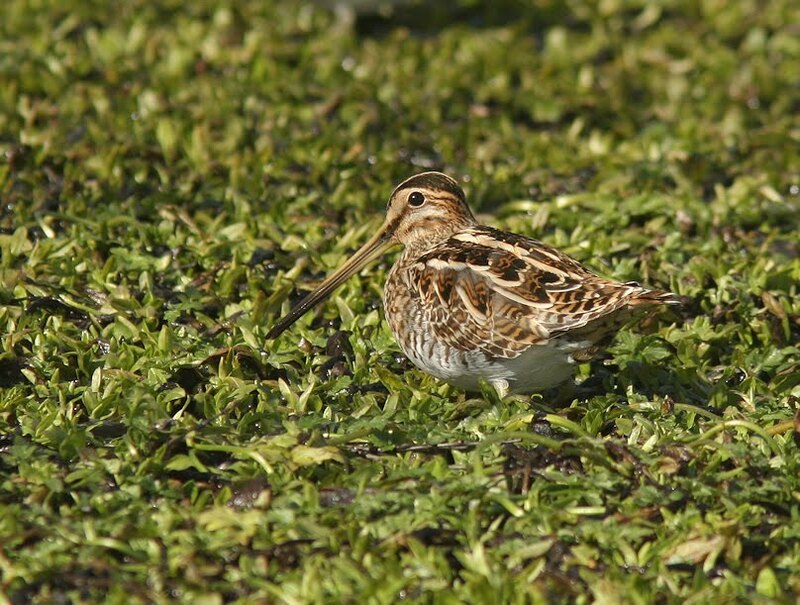 Origins: The Old World counterpart of Wilson’s Snipe (once considered the same species), it breeds across northern Europe (including Iceland) and Asia, wintering further south into tropical Asia and Africa. Record Details: Two confirmed records of well-studied/photographed individuals. (1) The first was at Tors Cove in February 2011, although at least three others were likely on the Avalon Peninusla during the same period. The arrival of these birds likely coincided with a harsh early winter in western Europe which produced higher than average numbers of Northern Lapwing, Common Teal and Eurasian Wigeon in the province, as well as our only record of Jack Snipe. (2) Another individual was present at Ferryland from January 11, – mid-March 2014, and often seen/photographed with one or two Wilson’s Snipe for comparison. * Notably, another very probably individual was present at the same general location the following winter (March 25-30, 2015), although confirming/diagnostic photos were not obtained. The only previous Canadian and east coast record was a specimen shot in St. Lewis, Labrador in December 1927. A detailed discussion and story of the initial Tors Cove bird is available here. 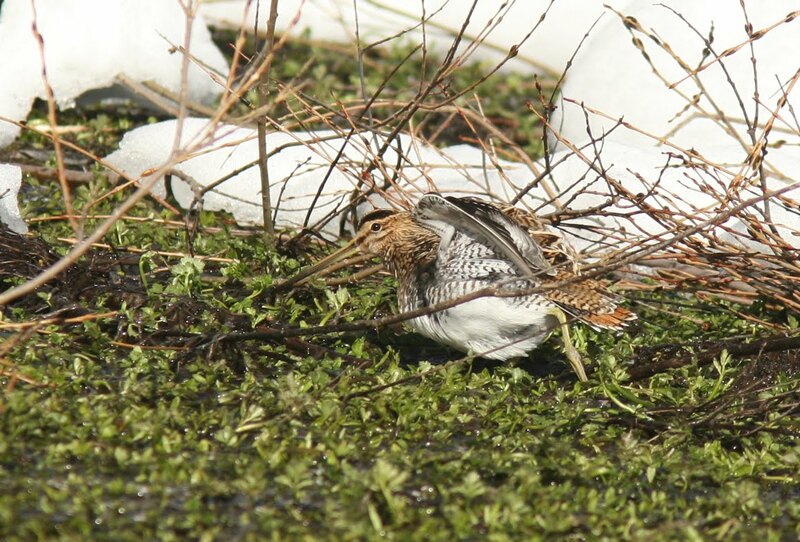 This photo (of the same bird shown above) shows the diagnostic underwing pattern – one of the key features necessary to confidently separate Common and Wilson’s Snipe.